Queensryche have announced a UK and European tour for later this year. They’ll play a total of 19 dates, including club shows and festival sets, kicking off in Berlin on July 25 and bringing the tour to a close at the Turock Festival in Essen, Germany, on August 17. The shows have been lined up in support of their upcoming studio album The Verdict, which is due to arrive on March 1 via Century Media. 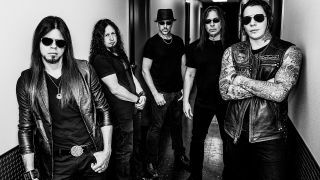 Queensryche will be joined on the road by Firewind and Mirrorplan. The band previously released the singles Man The Machine and Dark Reverie from the new record. Prior to their European tour, Queensryche will play shows across the US.